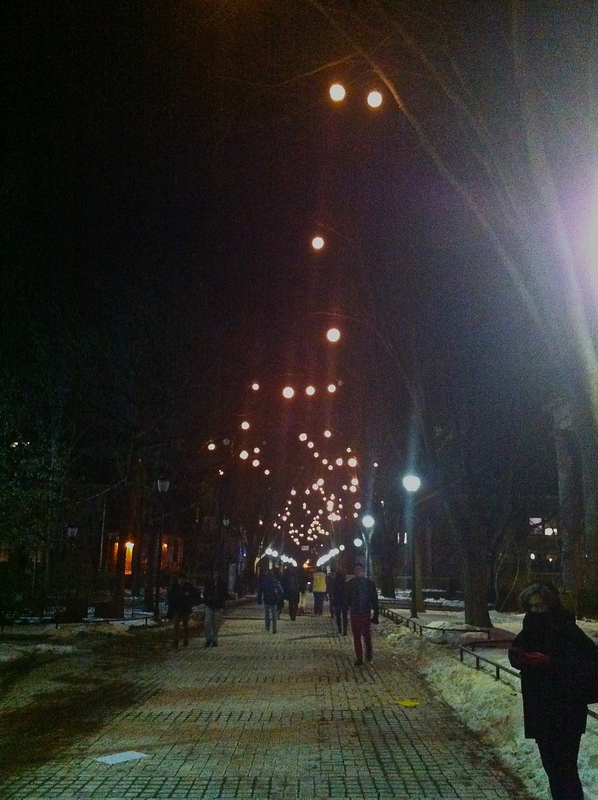 This past weekend I went to Philadelphia for the Wharton Winter Welcome Weekend (I partly wondered if they held it in wintertime just to add another W to the name). 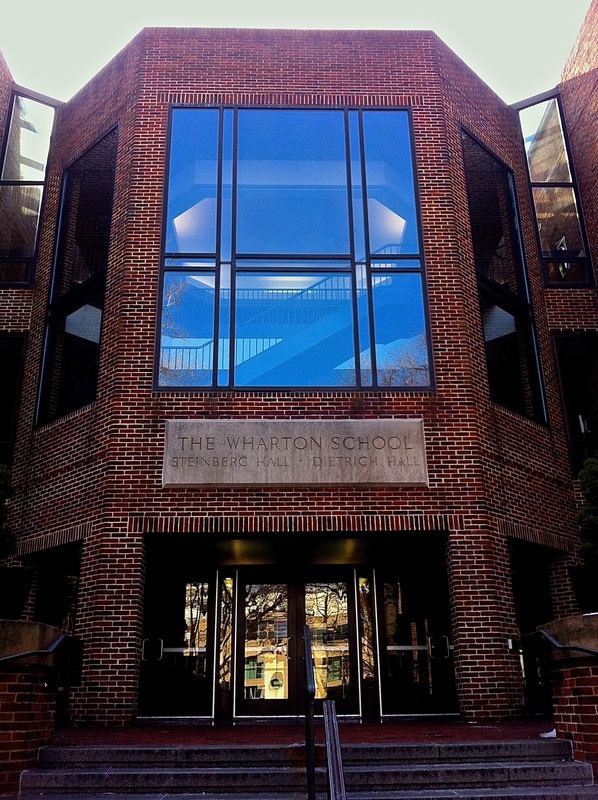 I was already pretty set on attending Wharton, but of course was curious to meet my potential future classmates, check out the campus, and see the city, which despite having lived 5.5 years close by in DC, I had never visited. I was disappointed that the Florida weather didn’t follow me to Philly, and realized that after 2 years in Africa I would have to quickly readjust to living up north. 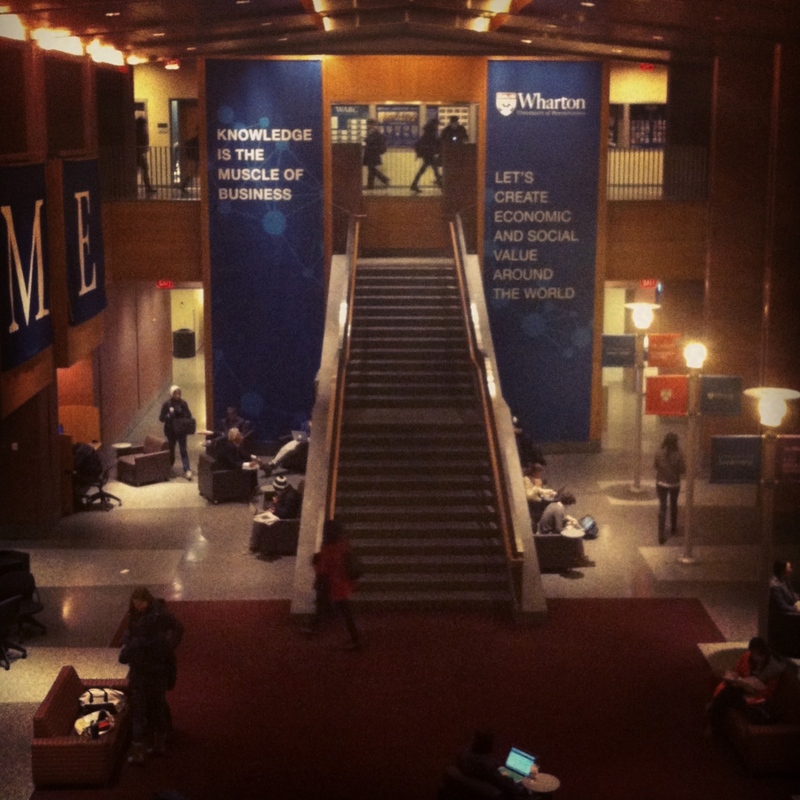 Luckily, the Wharton Welcome Committee kept us so busy I hardly noticed the cold. …Well, I guess that’s one way to make an impression. After getting to know my classmates better and meeting more of the ~300 students there that weekend, I was blown away by how smart, driven, successful, and down to earth everyone was. I met my fair share of i-bankers and consultants, in addition to entrepreneurs, Marines, lawyers, and ex-professional football players from America, India, South Africa, and Brazil. We all come from different backgrounds with different stories to tell, but we all share a passion for learning, curiosity about the world, and a drive to further ourselves personally and professionally. Comments from Friday morning of “Yeah, I’m thinking Wharton but still weighing Harvard/Stanford/Kellogg/Booth”, slowly turned to “Yup, I’ve paid my deposit and committed!” by Saturday night. I was thrilled to be meeting the classmates who will influence, encourage, and support me throughout final exams, professional clubs, and summer internship interviews, and I couldn’t be more excited to come back in August to get to know them more. Not a bad introduction to the next two years of my life! 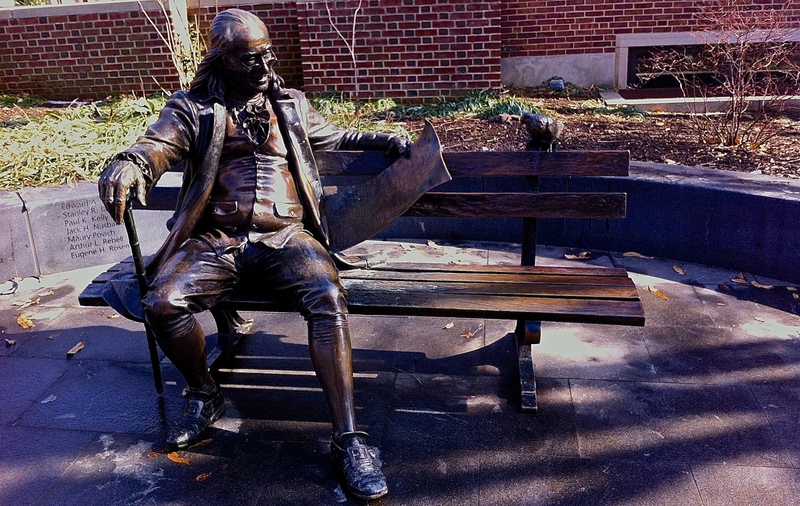 One of campus’ many statues of school founder Benjamin Franklin; apparently it’s a school tradition to pee on his feet. no way, you don’t pee on his feet. that’s a Harvard thing. Ahemmmm, didn’t you read my post about Harvard traditions? I’m pretty sure your tradition is to rub John Harvard’s toe on the way to class for good luck… In which case, if what you say is true about Harvard copying the UPenn pee tradition, you must have some stinky hands! I can;t wait to live vicariously through your travels!! Awesome MP! These Davis girls are amazing!